Earlier this month the US Geological Survey (USGS) released their latest version of The National Map Viewer. OK, like I said, it’s a collection of digital geographic and geospatial data that forms the foundational map of the US. Geeze, I think government bureaucrats get paid by the word. 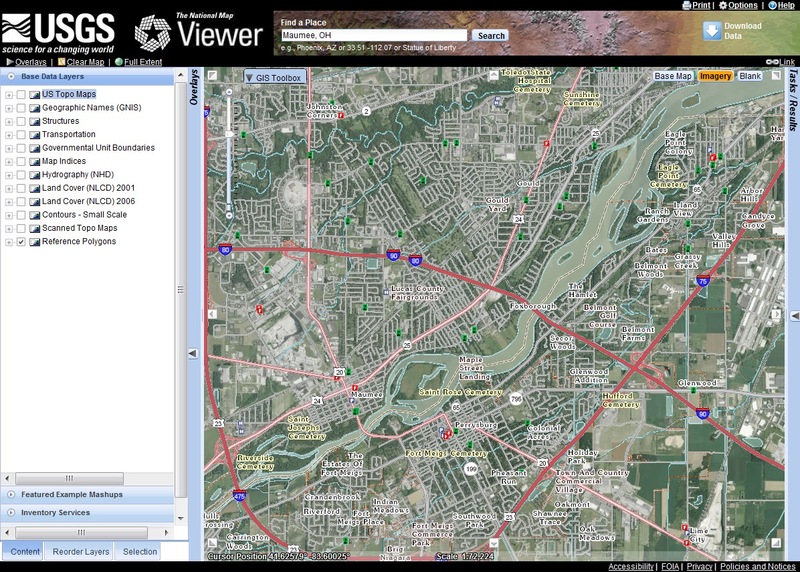 The National Map Viewer is the USGS’s on-line portal to all the data that makes up the National Map. 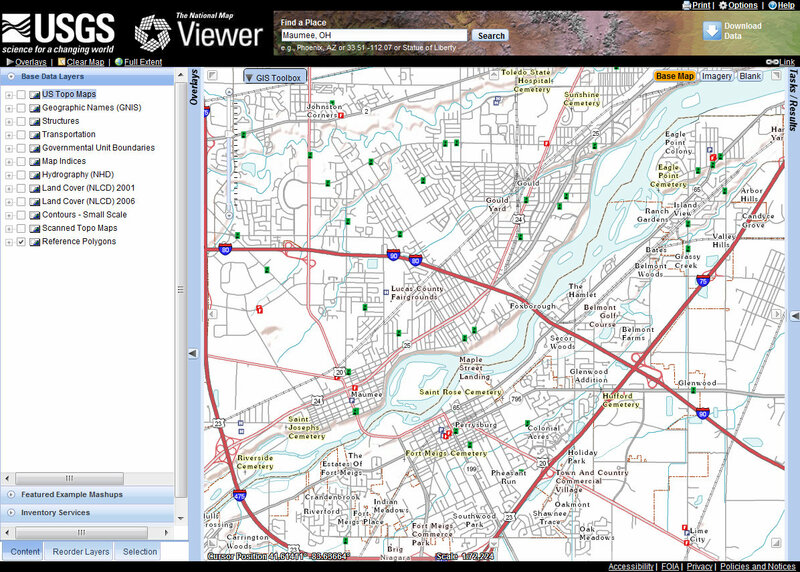 The Viewer is pretty good (if you are at all interested, it is built on ESRI’s ArcGIS Server technology) and offers some neat functionality. It will provide location information in a number of formats, including US National Grid coordinates, it has a pretty robust reverse geocoding feature (click on a building on the map and the map returns the street address for that location) and it will provide spot elevations from the national elevation dataset. You can do area and distance measurements, add text and simple graphics and even add data from external sources like a GoogleEarth KML file or a web mapping service. You can also bring up indexes for the USGS’s standard map products like the US Topo series of maps and link to them for download as GeoPDF files. For advanced users the Viewer offers some pretty good search and query builder functionality, so you can find specific data that is embedded in the data layers. There are some shortcomings, however. The print function is essentially useless and is perhaps THE major drawback of this Viewer. About all it does is grab a screen shot of your viewer and dumps it to a PDF file. The USGS needs to wake up and realize that people still want quality paper maps and with today’s technology it should be easy to print a fully detailed paper map with things like a grid, scale indicator, geographic extents, legend, etc. These shortcomings aside, the National Map Viewer is pretty darned good. I’d say the USGS gets a good solid ‘B’ for this effort. If they’d improve the damned printing issue I’d give them an ‘A’. This entry was posted in mapping and tagged national map, usgs by Brian Haren. Bookmark the permalink. Very interesting. However, I still don't see an option to see or locate known cemeteries, other than large national military cemeteries perhaps. The old State issued county maps typically show most of them and I don't understand why the USGS can't extract that info somehow.